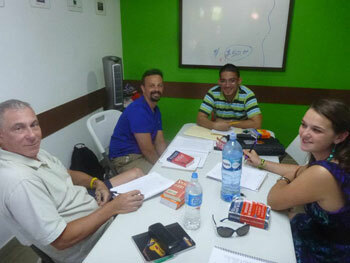 Are you looking for a school which will allow you to learn Spanish in the Caribbean? 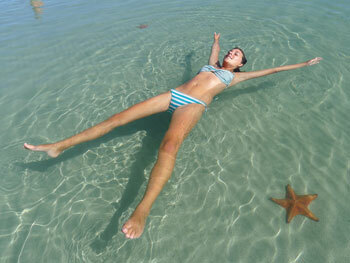 Or a location where you will be surrounded by crystal clear waters and sparkling white beaches? 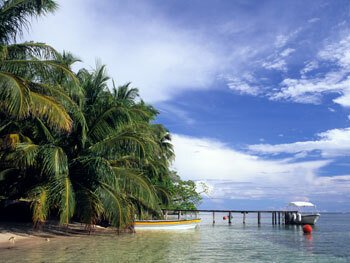 If so, then Bocas del Toro, an archipelago on the north-west coast of Panama, could be the perfect choice for you! A haven for students who enjoy watersports, marine wildlife and a lively nightlife, Bocas del Toro is one of Panama’s top beach locations and a fantastic alternative to Costa Rica or Mexico! Popular with other Latin American tourists, Bocas del Toro is as yet relatively ‘undiscovered’ by the rest of the world, so it is very easy to immerse yourself in the Spanish language and the vibrant Latin American culture! As well as Bocas town on Isla Colon where our school is located, there are plenty of other islands to explore, with a wealth of activities available, such as surfing, snorkelling, diving, horseback riding, zipline canopy tours and wildlife watching! 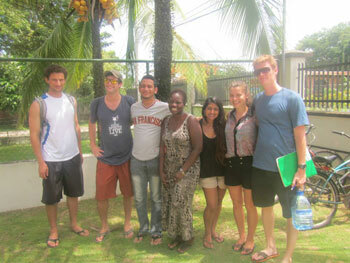 Our school is located in Bocas town, on Isla Colon, the archipelago’s main island. You will find the area in which the school is located to be quiet and ideal for studying, but do not worry, as the best bars and restaurants, as well as the nearest beach are just 5 minutes’ walk from the school! The school offers an excellent learning environment including 12 fully air-conditioned classrooms. Students often enjoy sitting on the balcony overlooking the lovely garden, whilst using the school’s wireless Internet to study or keep up with friends and family! Also popular is the student lounge, which has a TV to allow students to watch Spanish language programmes. 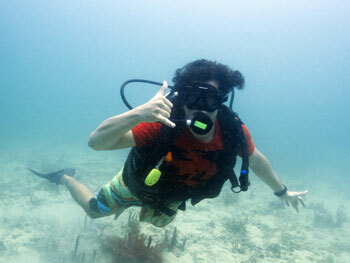 The most popular course offered by our school in Bocas del Toro is the ‘Intensive’ course. Consisting of 20 lessons per week in small groups (maximum of 6 students per class), this is the perfect choice for improving your overall level of Spanish. You will always be placed in a group with students of a similar level to yourself. If you have advised us that you are a complete beginner, this will be automatic. If you do have some previous experience of studying Spanish, you will take a level test on arrival, to ensure that you are placed in the correct group for your level. You may also like to consider private lessons, which can be tailored to meet your specific requirements. You can take private lessons separate from or in conjunction with a group course. 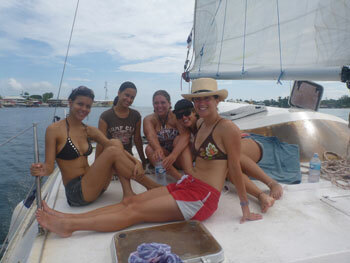 Really make the most of your time in Panama by staying with a host family. Carefully selected and well-known by our colleagues at the school, your host family will welcome you into their home and will encourage you to practice your Spanish with them! 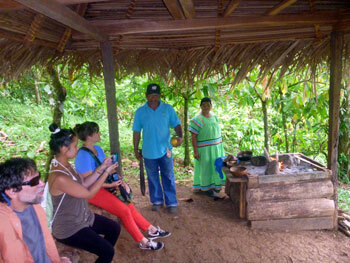 You will also get a real taste of life and culture in Panama, making this an experience of a lifetime! Alternatively, our school also offers guest house accommodation. Located right in the heart of the town and just 10 minutes’ walk from the school, the guesthouse is the perfect option if you wish to have a little bit more independence, as you will have access to the fully-equipped kitchen in order to prepare your own meals. You will also be provided with breakfast, which you can prepare yourself at your own leisure! 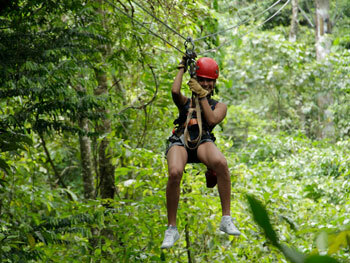 The lively activities programme is sure to keep you entertained during your stay! As well as typical Panamanian meals and Spanish film screenings, the school regularly offers yoga and salsa lessons, conversational lessons, parties, hiking, trekking, surfing and many more eco-adventures! Our colleagues at the school will confirm to you on arrival what activities will be offered during your stay and you can choose which you take part in! Please note that most activities will incur a small additional charge, which is payable directly to the school on arrival. However, these often prove to be very good value, especially in relation to Costa Rica which offers similar opportunities. 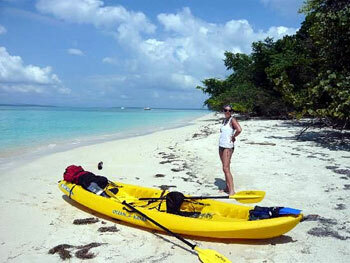 There are a myriad of ways to reach Bocas del Toro! 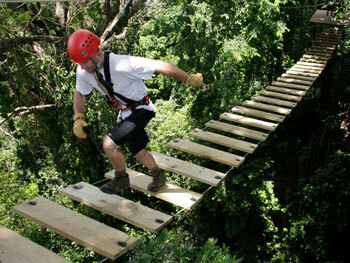 For example, you could fly into Panama City and from there take a flight straight to Bocas del Toro. 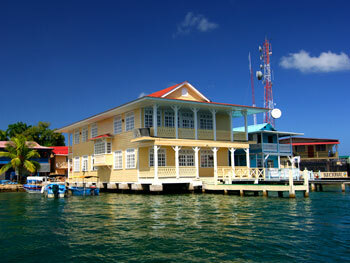 You can also fly into David and from either city take a bus and then a boat to Bocas del Toro. If you are arriving at the airport, we can arrange a transfer for you.